One of the most interesting facts that surfaces in this Small Faces jukebox musical is that lead singer Steve Marriott could have had an acting career. 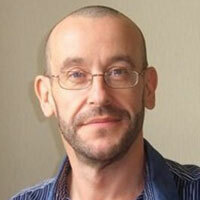 Marriott was a working class lad and natural performer who had appeared in Oliver! in the West End. 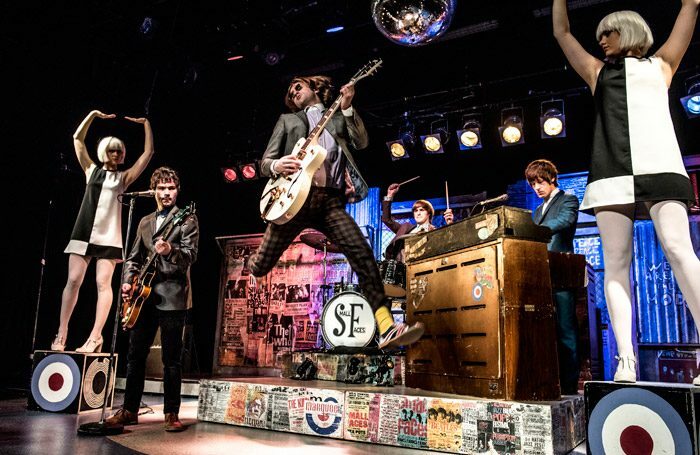 Other theatre offers followed but the teenage performer instead created the band that would come to embody the spirit of mod culture in the UK. It didn’t end well however and Carol Harrison’s book lets the ghost of Marriott tell his own story. All Or Nothing quickly becomes a Who’s Who of the 1960s music scene with Marriott playing the lovable if impulsive Artful Dodger to manager Don Arden’s brutal Fagin. Originally staged at the Vaults in 2016, the production has toured extensively since then. It’s lost some of its freshness along the way. The comedy now feels heavy-handed and the dramatic moments far too light to merit the final reckoning between Marriott and his distraught mother Fay. This is a shame, as the energy of the band – and particularly Samuel Pope as the young Marriott – is impressive. As producer, director, performer – playing Fay – and writer Harrison is perhaps juggling too many roles. The musical certainly has popular appeal and a dedicated audience but the staging feels flabby and formulaic, a feeling further hampered by poor sight lines and a general sense of complacency.